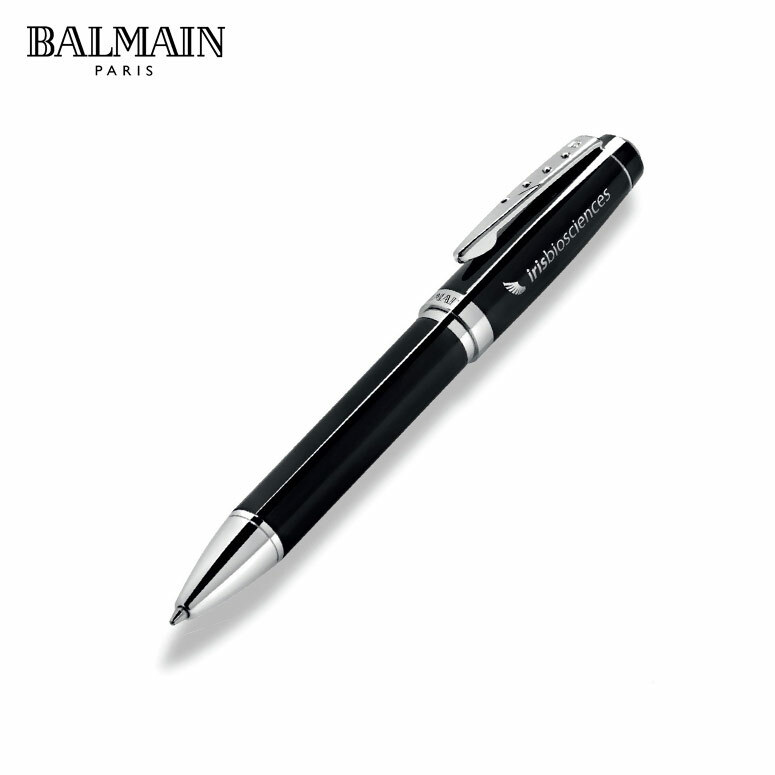 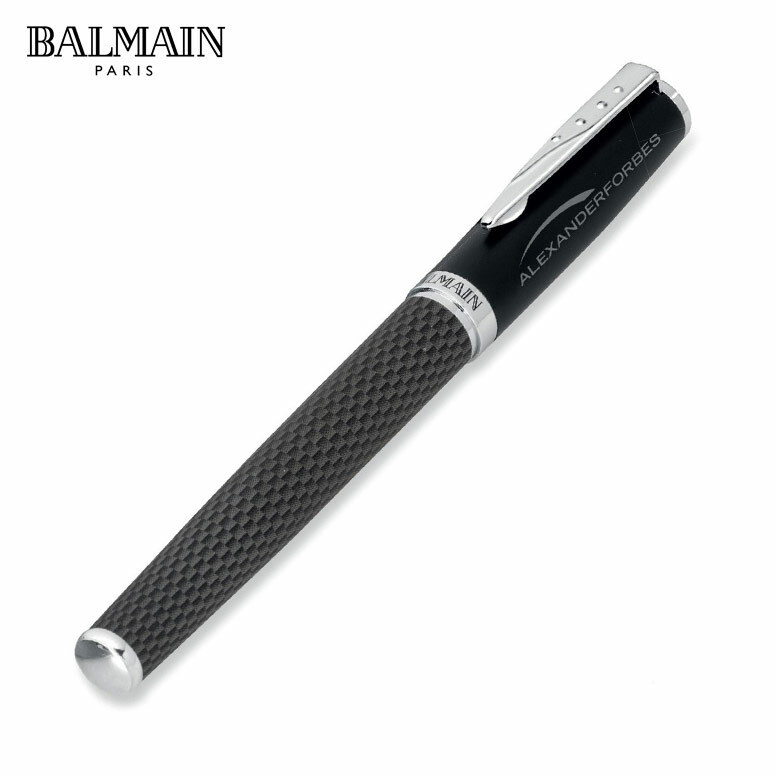 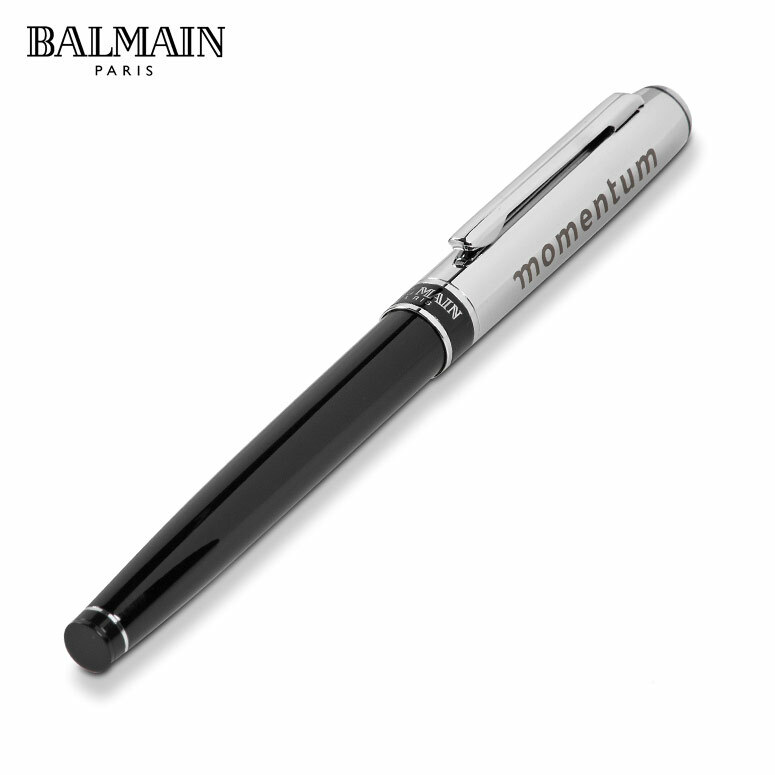 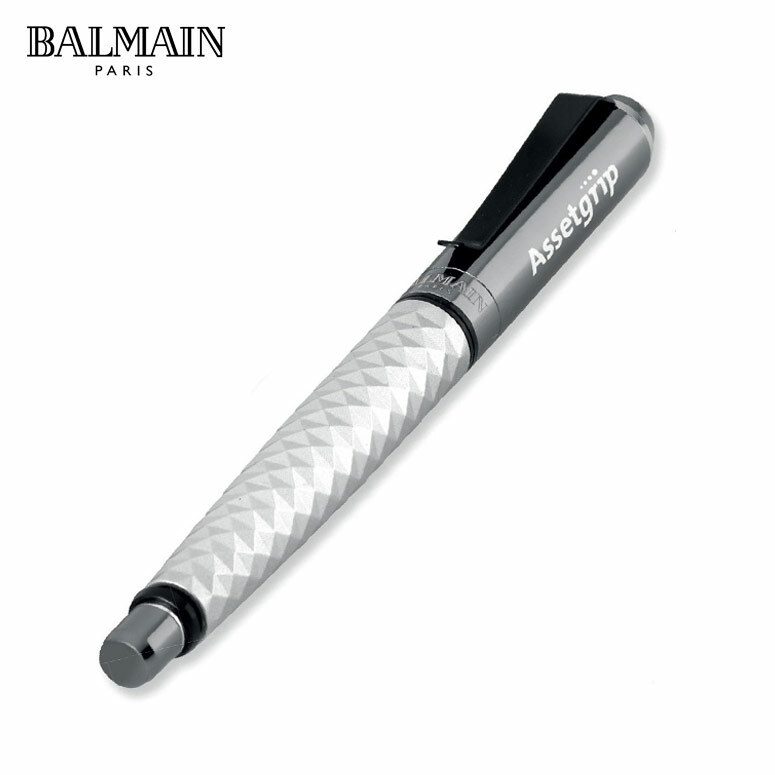 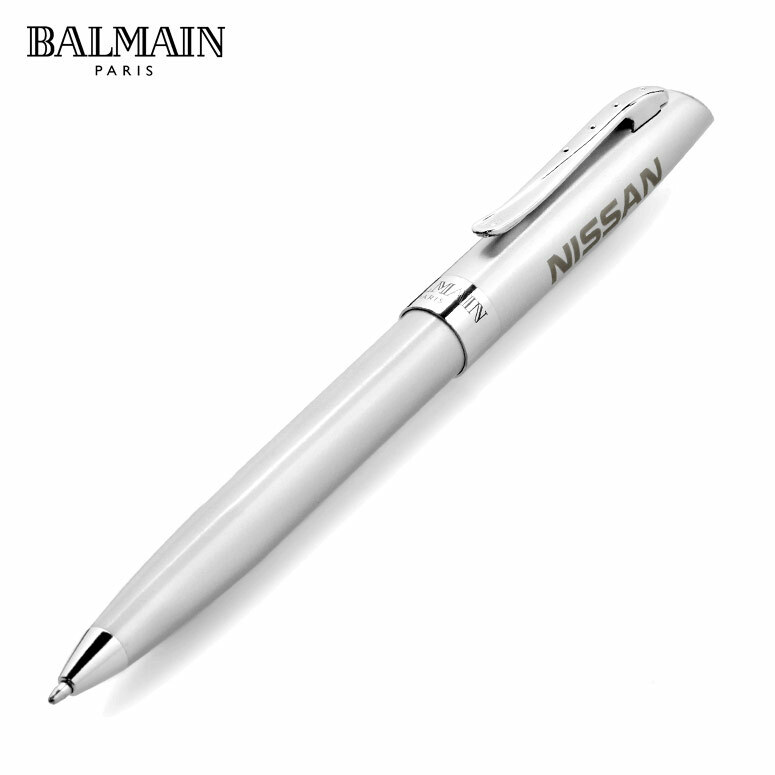 Balmain Paris Pens are a range of writing instruments designed and inspired by the famous Balmain fashion brand. 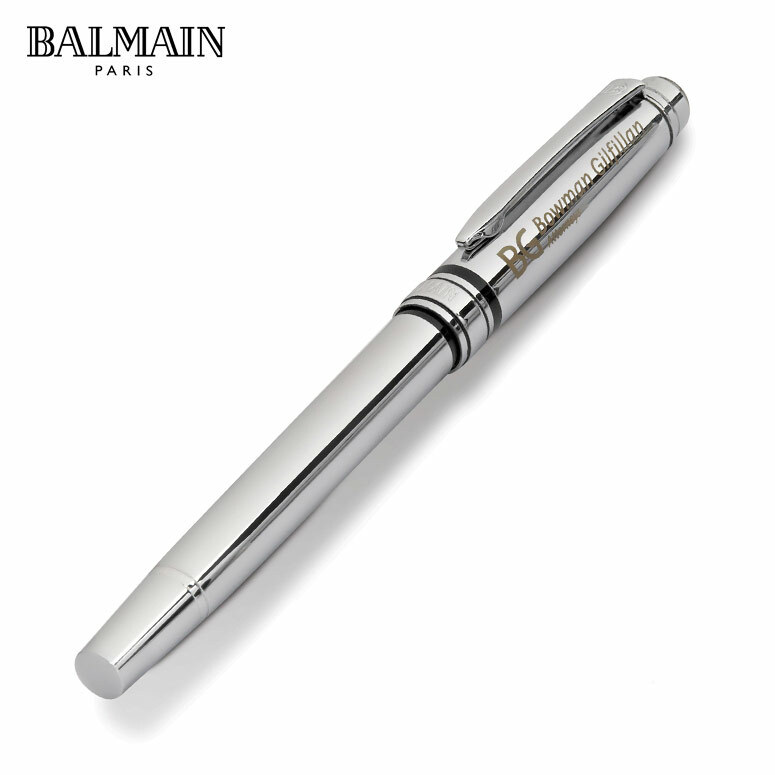 Balmain Pens are not only exquisite pieces but also highly functional and useful, serving a daily purpose no matter your expertise. A great executive gift for important clients or staff members, these wonderfully comfortable tools are a perfect medium throughout which to market and spread your brand. 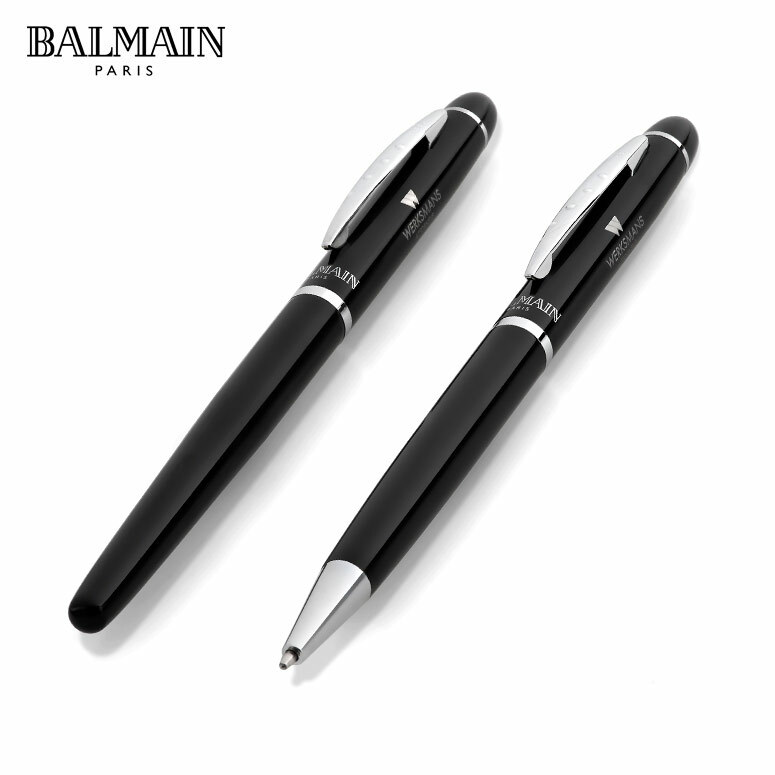 With stylish sets and pens to choose from, these fantastic Balmain pens have a large area for branding, giving you the best possible exposure while the gift is in use. 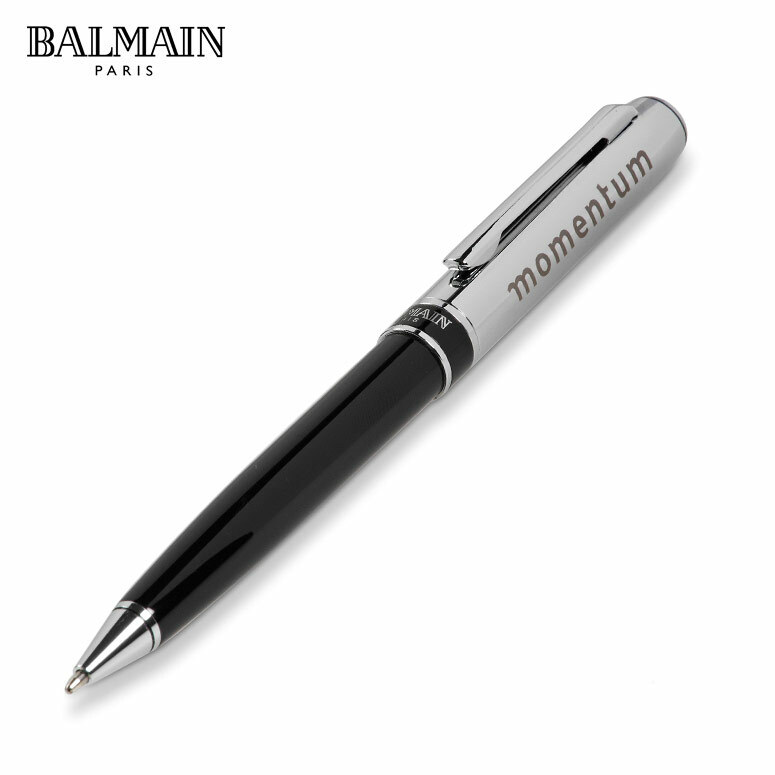 Appreciated by all, this useful and stylish accessory not only shows sophistication but also that your brand is serious about business and the corporate environment. 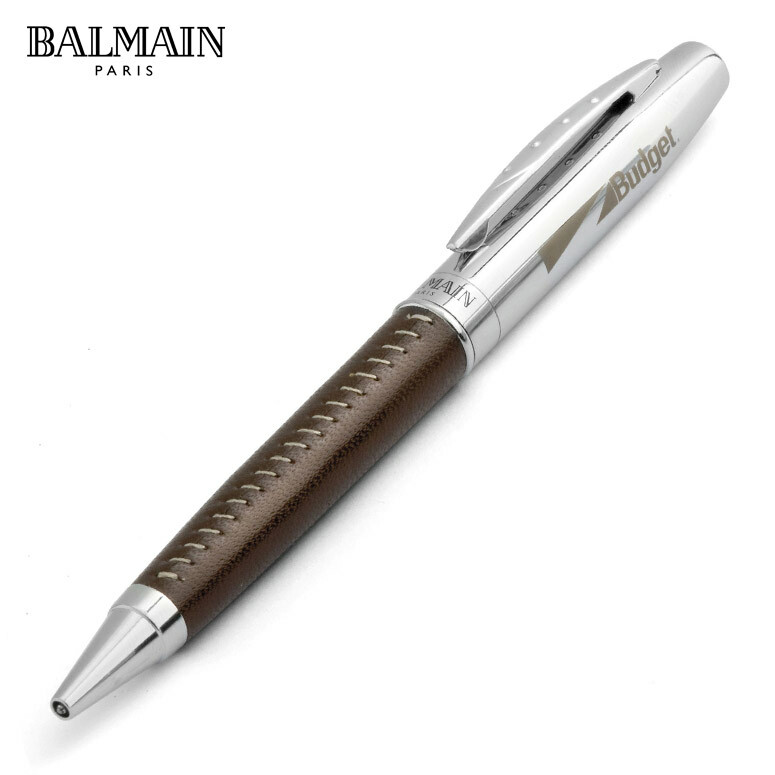 These elegant and opulent Bamain Paris Pens are wonderful products which look amazing when presenting your logo proudly along the barrel. A gift that speaks volumes to the vibrant personality of the company, this is a gift that all will use and appreciate. 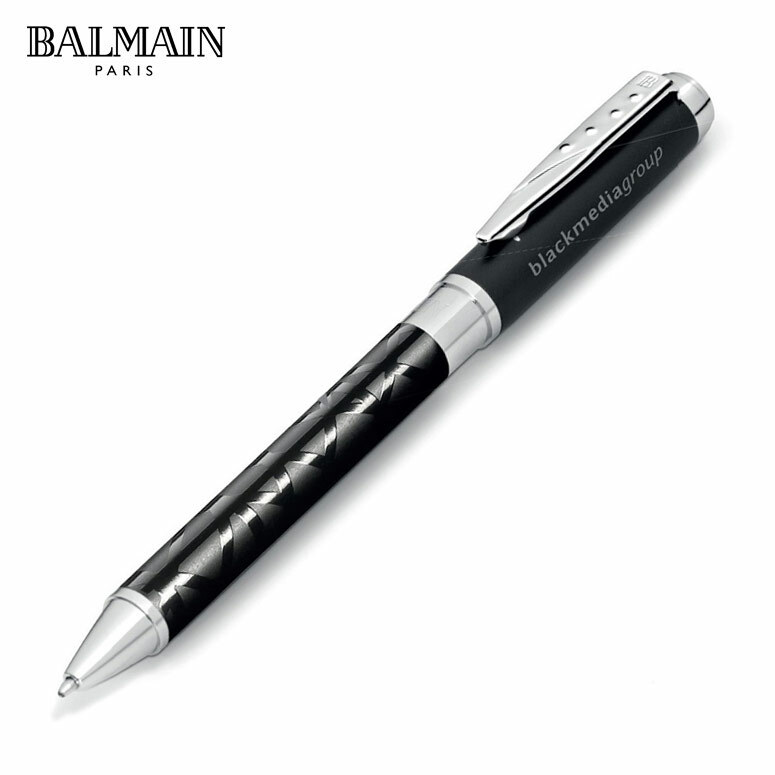 Whether as a welcome gift to a new client or executive, or a prize giveaway during promotions, these Balmain Pens are an excellent way to promote your top-class brand offering. 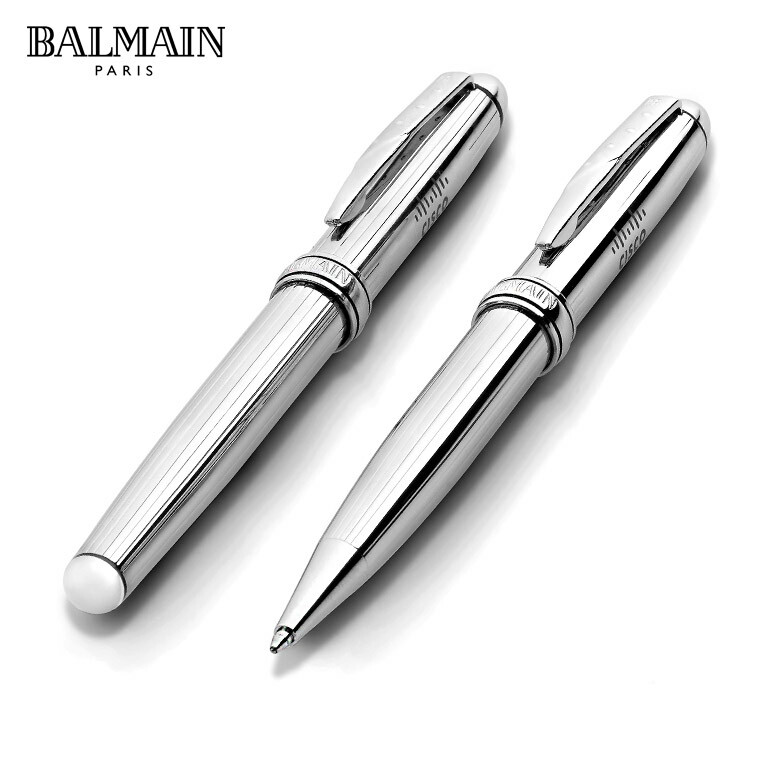 The smooth design of these Balmain Pens, coupled with the beautiful presentation box and engraved USB flash drive for the sets, means they are functional gifts that clients can use daily. 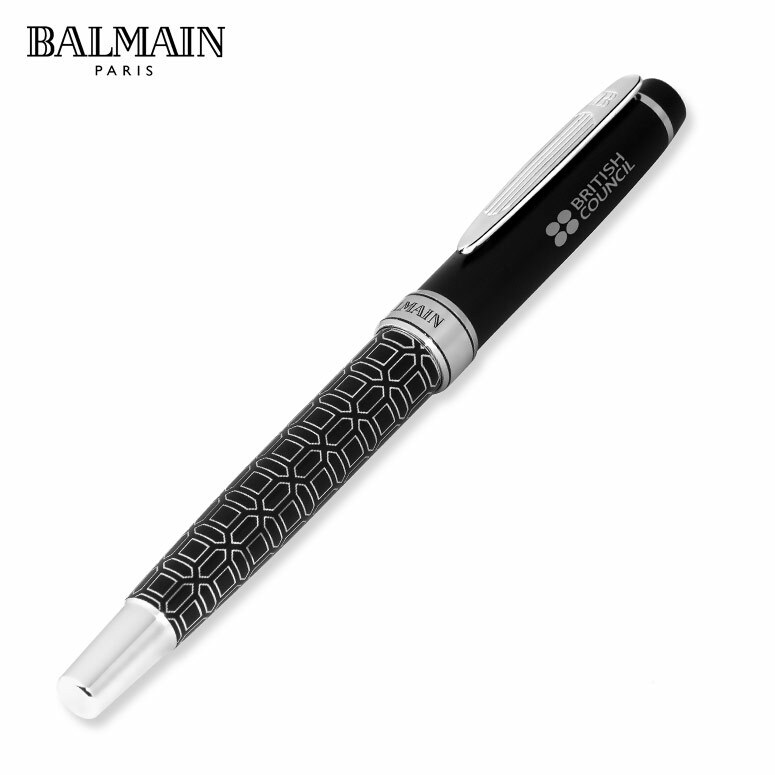 Perfect for the modern businessman, these sets give you everything, the capability for both writing and storing data in one easy set. These beautifully set pieces not only allow for a classy present, but also as a strong connection linking your brand to the renowned excellence of the Balmain Paris name. Brand Innovation is a proud supplier of these elegant, executive pens in Cape Town, perfect for your corporate gifting needs.